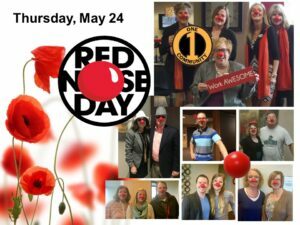 May 24 is Red Nose Day! People across the country come together on Red Nose Day to have fun and raise money for children and young people living in poverty. In its first three years, Red Nose Day has raised over $100 million, impacting more than 8.3 million children in America and around the world. Let's come together to end child poverty, one nose at a time! Get your RED NOSE at Walgreens, put it on and take a picture to share on our Facebook page. Help support a great cause & be entered to win prizes! Learn more about Red Nose Day HERE.